Malick Sidibé's (b. 1935, Mali, Africa) magnificent portraits of sweeping personal and cultural changes in post-colonial Africa have been celebrated around the world. Positioned at the junction of Malian independence in 1960 and a period of rapid modernization, his works bear witness to the joy, insouciance and confidence of Africa's youth revolution. Since the initial world premiere of his work in 1997, Sidibé has received the the Venice Biennale's Lifetime Achievement Award (2007), Hasselblad Award for Photography (2003) and the International Center of Photography's Infinity Award for Lifetime Achievement (2008). His work has been exhibited at the National Portrait Gallery (London), Fondation Cartier (Paris), Philadelphia Museum of Art, Corcoran Museum of Art, Museum of Contemporary Art (Chicago), the Armand Hammer Museum (Los Angeles) among others and can be found in the permanent collections of The Metropolitan Museum of Art (New York), Museum of Modern Art (New York), SFMoMA (San Francisco), Birmingham Museum of Art, Studio Museum of Harlem, High Museum of Art (Atlanta), International Center of Photography (New York) and Moderna Museet (Stockholm). Malick Sidibé lives in Bamako, Mali and continues to run Studio Malick. 2009 Perception: Photographs by Malick Sidibe. GwinZegal. 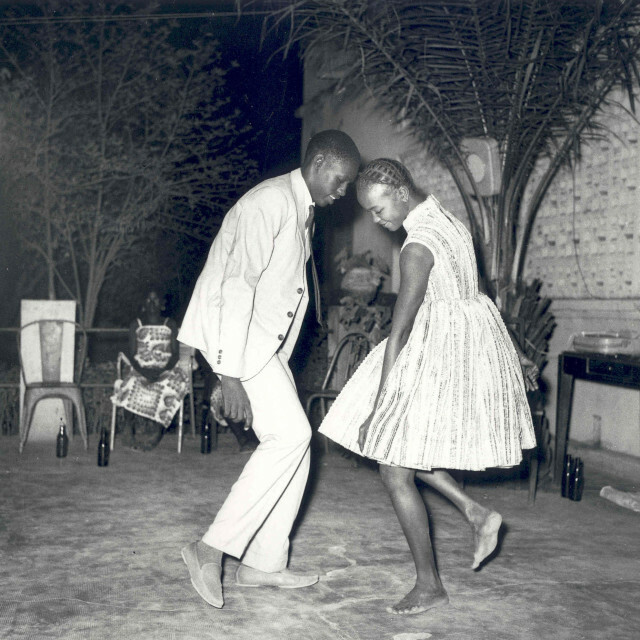 2008 Chemises: Photographs by Malick Sidibe. Gottingen: Steidl. 2007 Why Africa? Exhibition catalogue. Turin: Electa & Pinacoteca Giovanni e Marella Agnelli. 2006 100% Africa. Exhibition catalogue. PTF Editores & FMGB Guggenheim Bilbao Museum. 2005 Arts of Africa: The Contemporary Collection of Jean Pigozzi. Exhibition catalogue. Skira Edition & Grimaldi Forum Monaco. Magnin, Andre, Alison De Lima Greene, et. al. African Art Now: Masterpieces from the Jean Pigozzi Collection. Exhibition catalogue. London: Merrell in association with the MFAH. "Brookman, Philip, Merry Foresta, et. al. Common Ground: Discovering Community in 150 Years of Art. Exhibition catalogue. Selections from the Collection of Julia J.
Getlein, Mark. Living with Art. USA: McGraw Hill. Malick Sidibé Photographs. Exhibition Catalogue. Germany: Hasselblad Center-Steidl. Malick Sidibé. Exhibition Catalogue. Angers: Editions Musées d’Angers. 2002 Portraits of Pride, Samuel Fosso, Seydou Keïta and Malick Sidibé, Exhibition catalogue for Xposeptember in Sweden and Moderna Museet, Stockholm: Editor Magnus af Petersens. Matt, Gerald and Thomas Miebgang (editors). Flash Afrique: Photography from West Africa. Kunsthalle Wien, Göttingen: Steidl,. Lamazou, Titouan. Carnets de Voyage T2. Gallimard Editions. McClusky, Pamela and Robert Farris Thompson. Art from Africa: Long Steps Never Broke a Back. Exhibition catalogue. Seattle Art Museum - Princeton University Press. 2001 I Ka Nyi Tan: Malick Sidibé, Seydou Keïta fotografi a Bamako. Exhibition catalogue. Rome: Castelvecchi Arte. You look beautiful like that. The portrait Photographs of Seydou Keïta & Malick Sidibé Lamuniere, Michelle. Harvard University Art Museums. Cambridge, New Haven: Yale University Press. 2000 Clubs of Bamako. Exhibition Catalogue. Houston: Rice University Art Gallery. Porträt Afrika. Interview with Malick Sidibé, p.29-37. Bilingual, German and French text, Review. Fotografische Positionen eines Jahrhunderts. Haus Der Kulturen der Welt. By Hubert Filser and Peter Stephan. 1999 Clubs of Bamako. Deitch Projects. New York: Flash Art International. 1998 Magnin, André. Malick Sidibé. SCALO. Magnin, André. “La photographie Africaine aujourd’hui. Malick Sidibé.” Encyclopaedia Universalis. pp. 349-351. Ouaki, Fabien. 50 x 50 - Exposition Tati 50 ans. 50 Photographers fêtent Tati – Exhibition Tati 50 years Tati. 50 Photographers Tati. Exhibition catalogue. Göttingen: Steidl. Retrats de l’Ànima. Exhibition catalogue. Fundacio la Caixa. Bilingual text, Spanish and French. p.56-65. Elder, Tanya (Diss.). Capturing Change : The Practice of Malian Photography, 1930s – 1990s. Tema, Linköping: Linköping University. 1996 Abrams, Harry N. In/sight: African photographers, 1940 to the present. Exhibition catalogue. New York: Guggenheim Museum. 1995 Foster, Alasdair, Ken Gill and Eua McArthur (editors). Fotofeis. Second International Festival of Photography in Scotland. Magnin, André. Malick Sidibé: Bamako 1962-1976. Exhibition catalogue. Editions Fondation Cartier pour l’Art Contemporain. Lamuniere, Michelle. “Ready to Wear: a conversation with Malick Sidibé.” Transition: The Space Race. An international review. Ref N° V10N4 N°:88. Edition DUKE.